Janmashtami Dahi handi Festival: SC says height cannot exceed above 20-feet : Backing the order of Bombay High Court, on Wednesday, the Supreme Court of India ruled that those below 18 years of age cannot participate in dahi handi ritual. The Supreme court also said that height of human pyramid, meant for dahi handi festival, cannot exceed 20-feet ceiling fixed by the Bombay High Court. 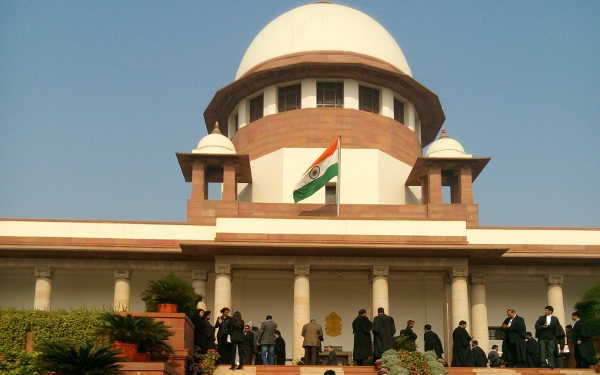 SC passed the order on the plea of Maharashtra government in connection with the issue of human pyramids in the dahi handi ritual. On 3rd August, The Government of Maharashtra had moved the Supreme court, seeking a clarification regarding the height of human pyramids for the celebrations of Dahi handi. Shri Krishna Janmashtami Wishes SMS Whatsapp DP FB Status Images PhotosIn the last month, hearing a Public Interest Litigation (PIL), the High Court had directed the state government to approach the Supreme court on its order on the height of human pyramids. In August 2014, The High Court had ordered that children below 18 years should not be allowed to participate in the dahi handi function and the height of human pyramids should not exceed 20-feet. The petition filed by a city-based social worker Swati Patil. She is the secretary of an NGO named Utkarsh Mahila Samajik Sansthaa. Social worker Patil alleged that the Maharashtra Government and others were not following the earlier order of Bombay High Court on the height of human pyramids during dahi handi rituals.